The Houston Rockets and Reliant are teaming up to show how fans Power It Forward for the Houston Community, and we want to hear from you! Entry is simple: tag a friend on Facebook, Twitter or Instagram and share how they give back. 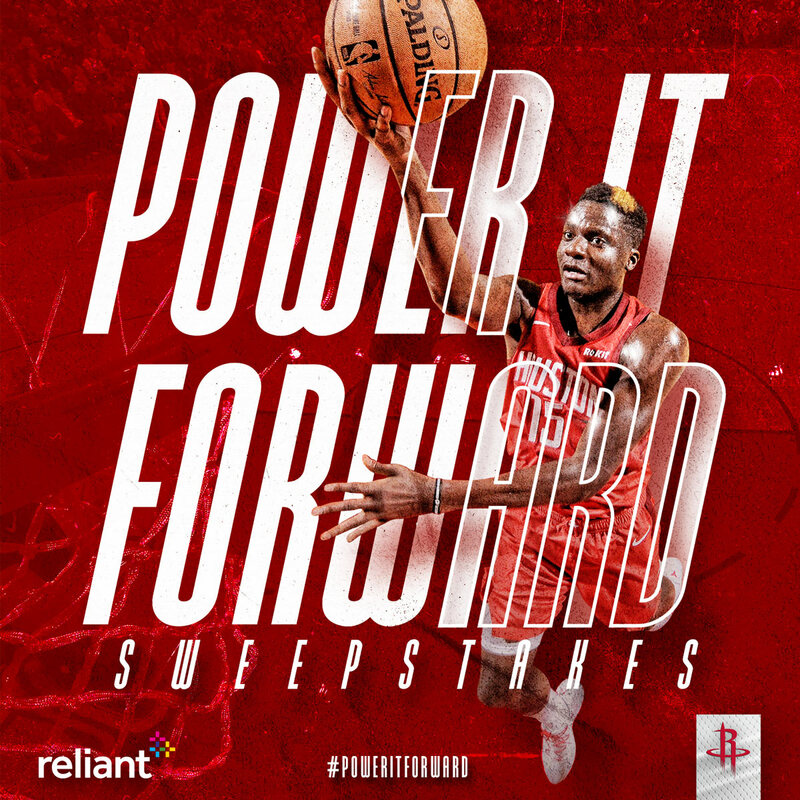 Be sure to use the hashtags #PowerItForward and #Sweepstakes in your post, and you’ll be entered for a chance to score a private dinner with Rockets Center, Clint Capela!